Interested in quality IT Support in Shiloh, NJ? CSM delivers adaptable and affordable Shiloh, New Jersey IT Support Services to both big and small firms. We simplify your technology processes, boost efficiency and simplify technology administration. We handle the time-consuming duties of IT projects and Technology Operations so you can concentrate on managing your company. Founded in 1984, Computer Systems and Methods has more than 3 decades of experience helping organizations resolve their most difficult technology problems. Companies of all sizes in Shiloh, New Jersey turn to Computer Systems and Methods as their trusted Information Technology partner. CSM has long been a technology icon, delivering IT Support Services in New Jersey to some of the Garden State’s most recognizable companies. What Technology Support Does Computer Systems and Methods Offer? Cut-throat competitors, unreasonable taxes, and excruciating regulations make doing business in NJ extremely difficult. In order to run a profitable company in the Garden State, your company ought to have laser focus on engaging your customers and developing your bottom line. When their profits are on the line, Business Owners and IT Executives turn to CSM as the finest and most skilled of all IT Support companies servicing Shiloh, NJ. In regards to helping organizations strengthen their information technology and reduce operating costs, CSM is always the obvious solution. CSM’s Technology Team is always available to assist you with technical service, 24/7 help desk support, or Information Technology Projects. Our staff of Information Technology experts will insure the job is completed, on-time, and below budget. With over 30 years of IT Support expertise, CSM does anything to deliver your business a competitive advantage and keep your core applications and network operating at optimum performance. If you are looking for a organization to trust for your IT Support requirements, look no further – we have been helping New Jersey companies since 1984. CSM is the obvious alternative with regards to IT Support and network support. 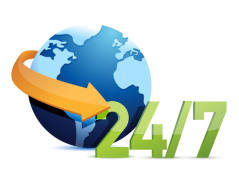 If you are seeking a 24×7 IT Support provider, CSM’s NetManage solution delivers the technology support your company needs. NetManage provides you the independence and security to manage your business, and not your network. If your firm is looking for a local IT Support company in Shiloh, New Jersey to supply on-site, or 24×7 remote support, just complete our contact form and one of our IT consultants will contact you immediately.